Nikon COOLPIX P1000 now In Stock at Huppins ! Update: Sold out again ! 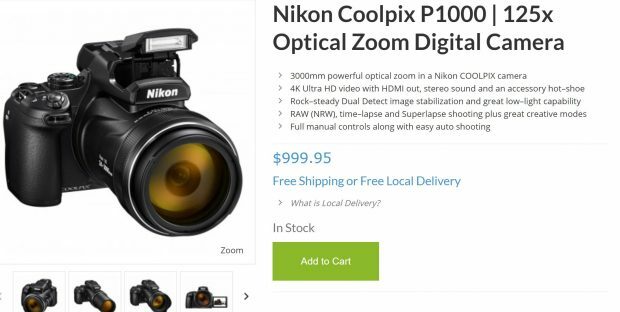 The new announced Nikon COOLPIX P1000 now in stock and shipping at Huppins. (Nikon USA authorized dealer). Previous Previous post: Nikon COOLPIX P1000 Reference Manual now Available for Download !